BLOKFEST: Blokfest 2015-16 is coming! 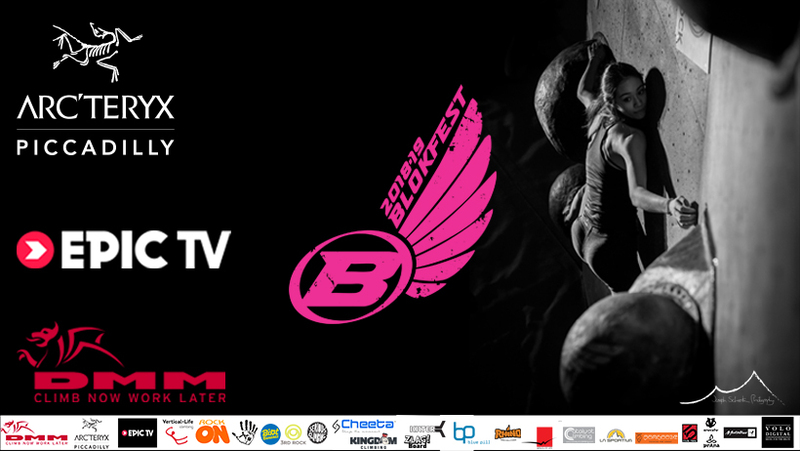 So just a few short weeks now until we will be starting to set the first holds of the 4th Blokfest season! 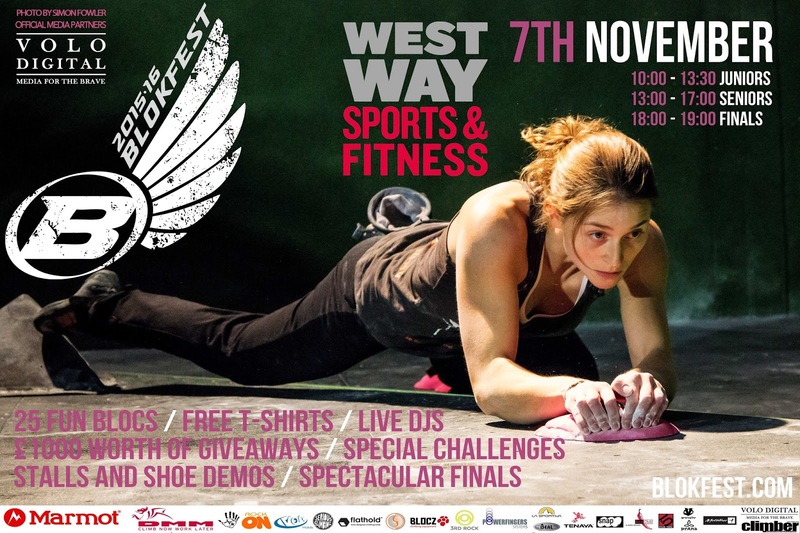 And where better to kick off than at the ever impressive Westway Climbing Centre on 7th November. The summer has flown by but huge amounts of preparation have gone in to this season to make sure its guaranteed to be bigger and better than ever before. 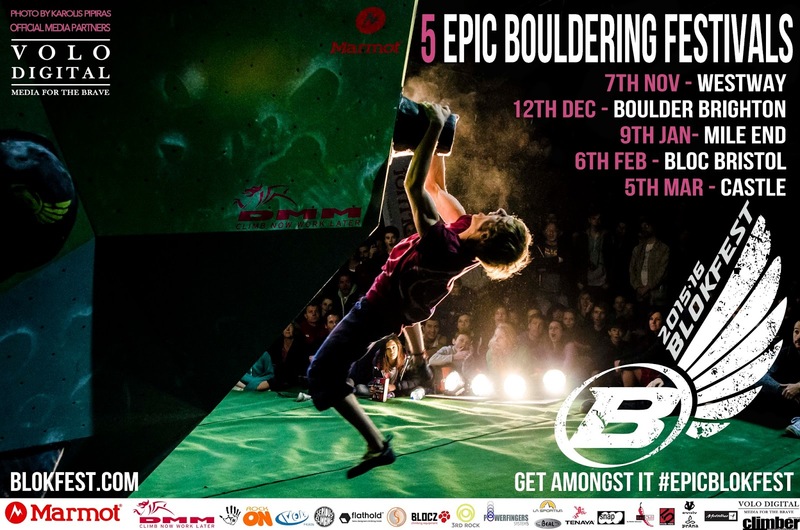 We have 5 awesome events coming to you that can not be missed; The Westway, Boulder Brighton, Mile End, Bloc Bristol and the Castle over the next 5 months and we have some brilliant partners, sponsors and individual who's support means we have tons of stuff to giveaway to you at every event and loads of cool stuff going on alongside the usual party atmosphere and super fun climbing. Along with new holds, loads of funky new volumes , new products, new demos and stalls amongst so much more. The excitement is pretty hard to contain to be honest so lets get it on. Register now for the coming season by clicking the link at the top of the page to your age category. We wish to thanks so many people for making Blokfest what it is but these guys in particular are total legends in the game amongst so many individual friends (you know who you are). If you want to join in the banter get amongst it #EpicBlokfest. 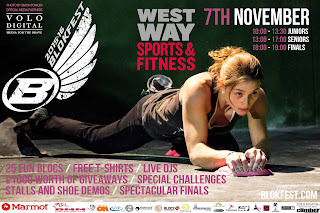 See you there 7th November at Westway Climbing!